The Walker family outside the bakery at 13/15 Great Green. Like many village families, there was a tradition of following the same occupation. The Walkers were bakers, father Albert was followed at Great Green by son Jo, while son Bob started a new bakery at Holwell Road. Cousin Frank and sons Ted and Reg baked at Terry Villa in Royal Oak Lane. Back row L-R: Bob, Len, Mag, William, Jo, Philip. 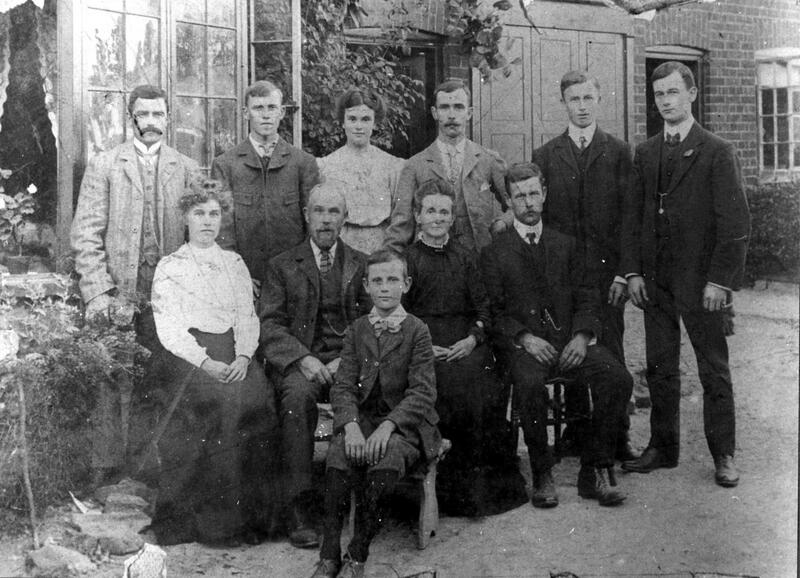 Front row Peggy [Bob’s wife] Albert, Polly [Albert’s wife], unknown person, and Bertie Bob seated.